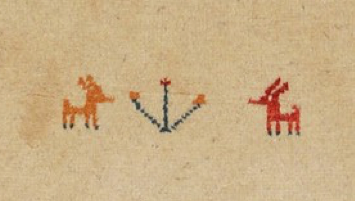 Even today, the designs of traditional oriental rugs are still drawn with paper and pencil. 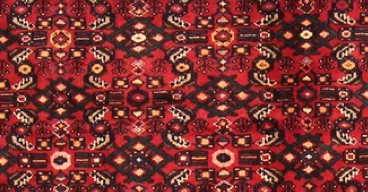 Nomadic rugs and simpler designs are often knotted purely from the weaver's memory and without any pattern. 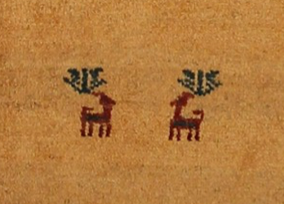 The style of the rug thus also indicates the origin of the rug. 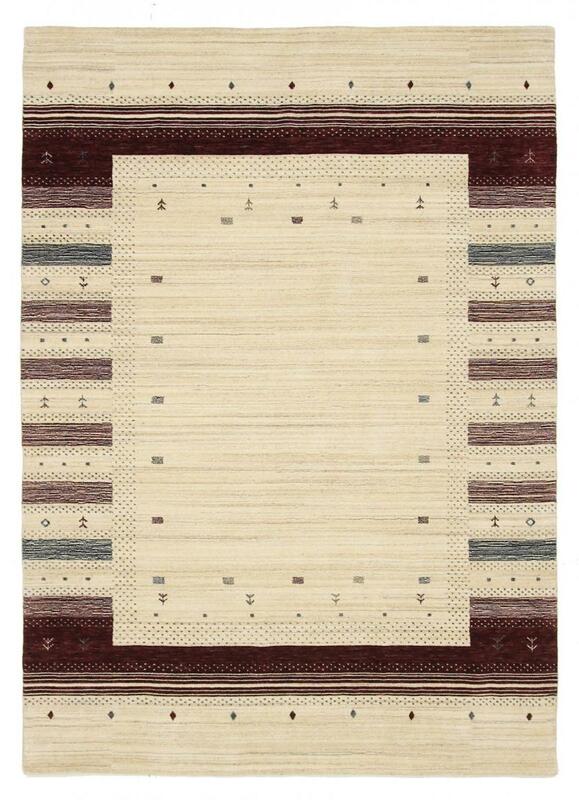 Depending on the degree of detail of the design, the rug must be knotted at a certain density. 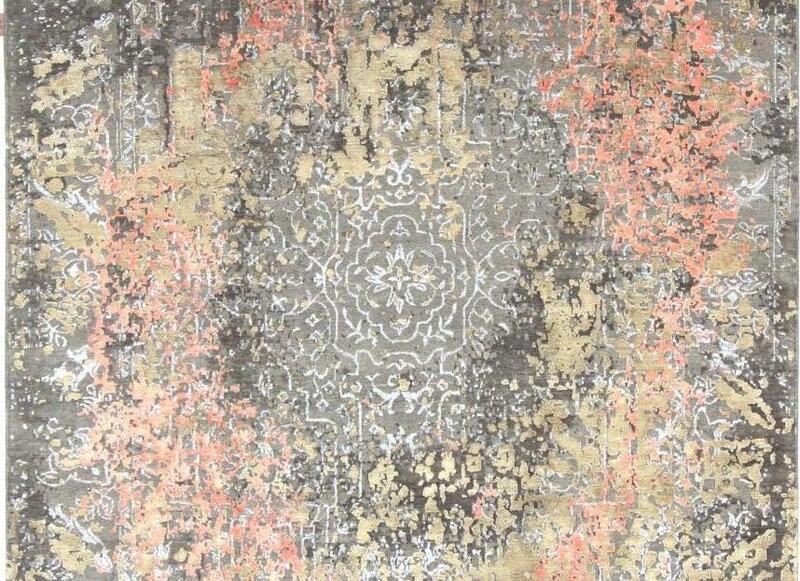 The higher the knot density of a rug, the higher the level of detail can be realized. 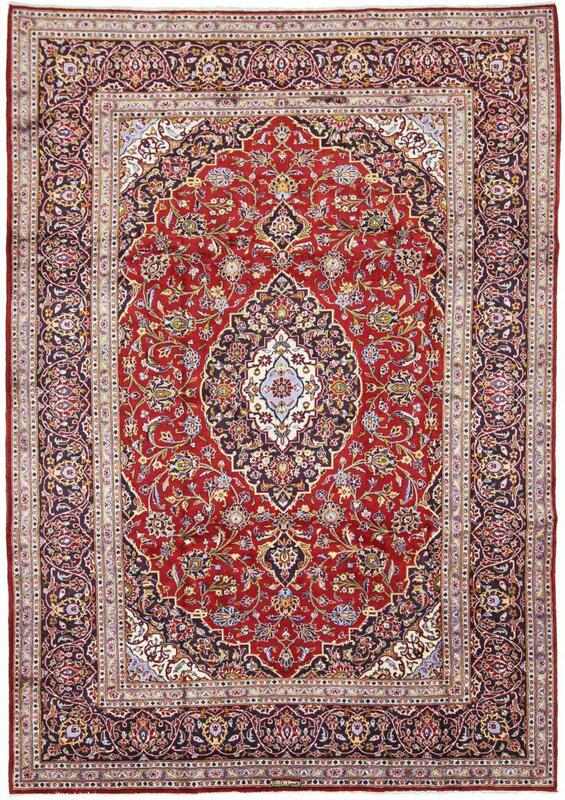 Therefore, very fine rugs with knot densities of one million knots per square meter usually have very elaborate patterns and decorations. 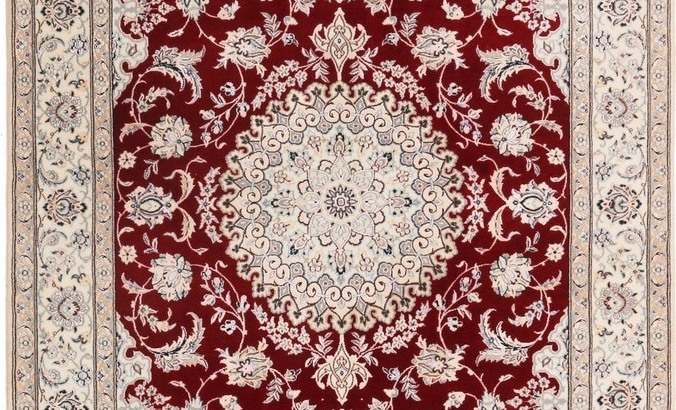 The design of an oriental rug can be divided into different categories. There are stylized, geometric and figurative patterns in the traditional design. 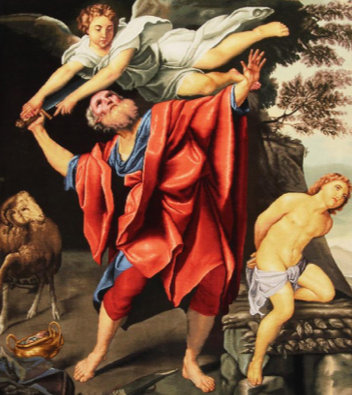 In addition, completely new elements are implemented in modern design, which either stand in combination with traditional ornaments or are put on completely new. Stylized patterns are curved lines that can occur in a wide variety of forms. Often flowers and plant motifs are stylized, but also other motifs, such as vases occur. Stylized patterns can also be found in both medallion and row designs. 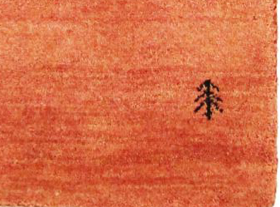 In order to be able to represent a curved line, the carpet must have a higher knotting density, otherwise the curves cannot be represented roundly and would appear angular. 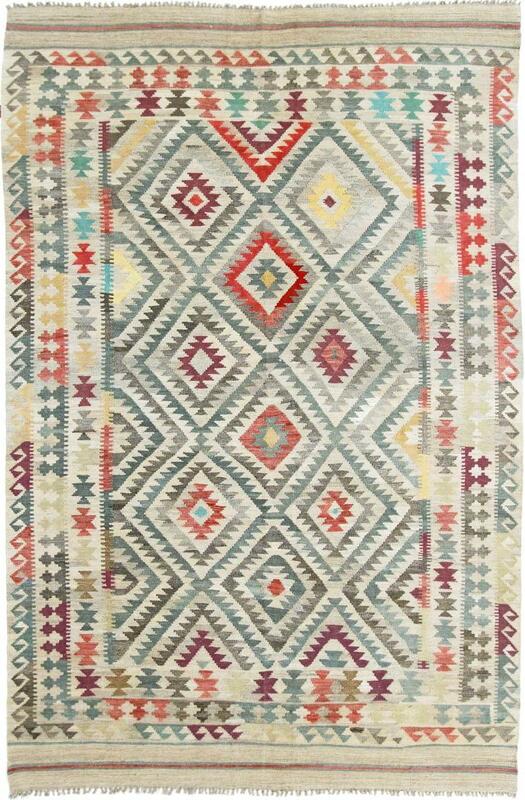 So high quality rugs mostly stylized patterns. Geometric patterns are those that consist of straight and angular lines. These include rectangles, angles, triangles, etc. 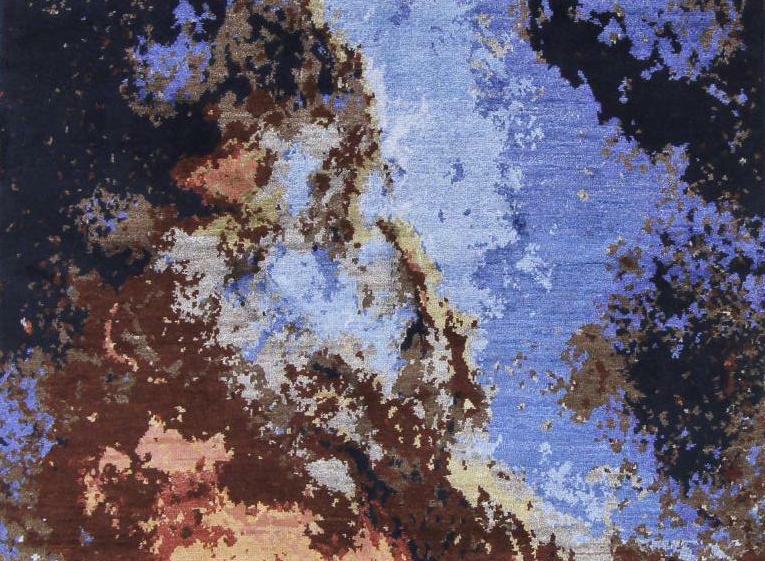 They are often used on carpets that have a somewhat lower knotting density and no stylized patterns make possible. Circles are unusual because they would appear angular. 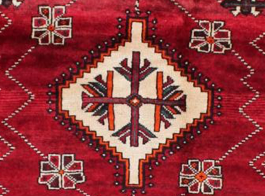 Usually geometric patterns appear on village and nomad rugs. 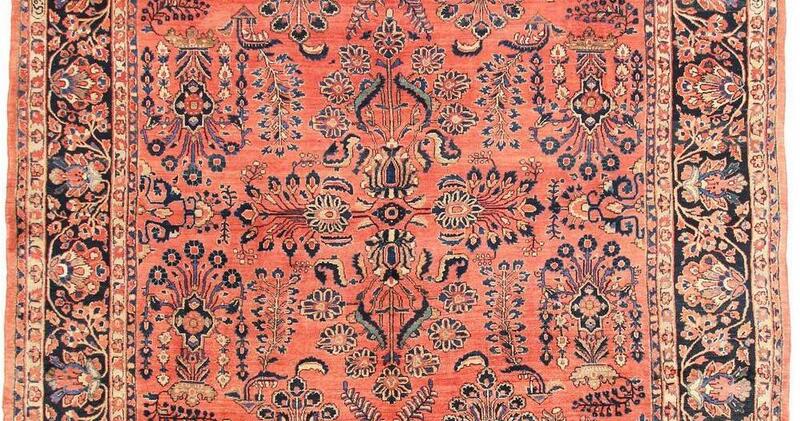 This includes for example Gabbeh, Shiraz or Hamadan rugs. 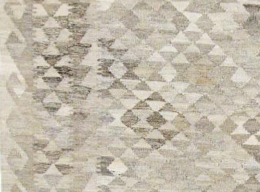 also Kilims have geometric Patterns caused by their flat weave. These types of patterns represent humans or animals. Figurative patterns are often used in conjunction with historical or mythological motifs. 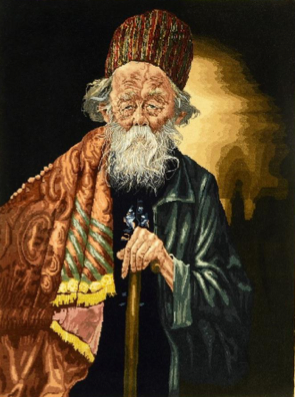 For this reason rugs with figurative patterns are also often used as tapestries. Instead of a clear pattern, they recreate a certain situation or person. 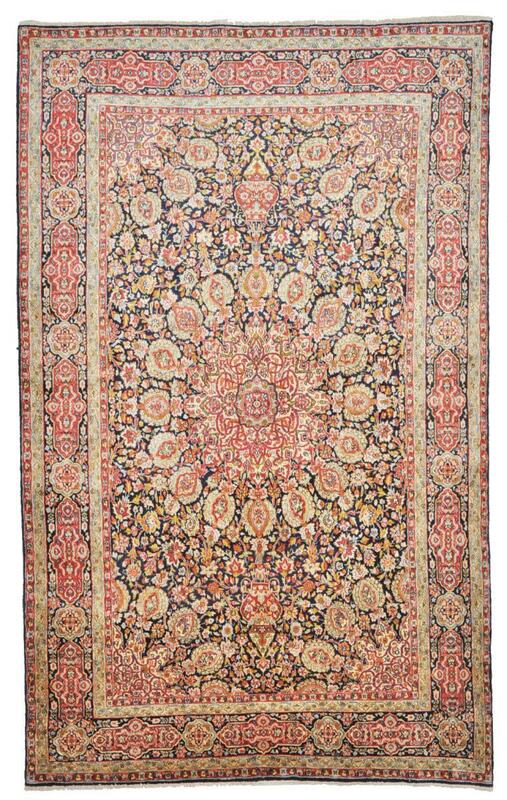 The modern design of hand-knotted oriental rugs now includes numerous new motifs created by contemporary designers and knotted in the Middle East. The combination of modern design and traditional Arts and crafts offer many advantages over machine-made counterparts. Natural colours are incomparably soft and intense, knotting can be very dense and detailed and the pile is made of robust and soft sheep's wool. 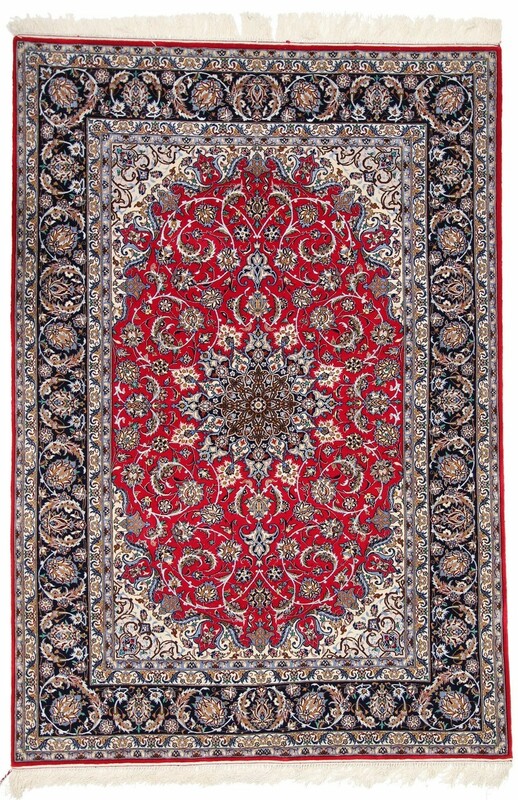 Oriental rugs in the modern design are either provided with a completely new design or they offer an artistic combination of traditional patterns and modern elements. Here we have put a few rugs next to each other as examples for you to see the individual pattern and design types in direct comparison. Under our tips for buying rugs you will also find the most important information for a well thought-out decision on the right rug.